Visiting Athens in August 2010? ISAP TRACK RENOVATION AND TUNNEL SUPPORT FROM OMONIA St. TO MONASTIRAKI St.
Co – funded by Greece and the E.U. (The VICTORIA and OMONIA stations will be closed). At station PEFKAKIA only the platform to Kifissia will be opened. At station PERISSOS only the platform to Kifissia will be opened. Passengers should expect delays due to the works. Monastiraki – Attiki : METRO LINE 2. Traveler’s checks in Greece, bad idea! 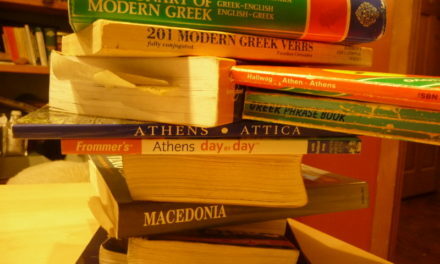 A week in Athens … What to Do? Thanks for the information. I’m back in Greece in March and would have wasted quite a bit of time, no doubt, if I hadn’t known. Do you know whether the Monastiraki to Ethniki Amini part of the line will be functioning? Looks like you might be in luck – it seems that they won’t shut down the whole line – it will run up to Ethniki Amyna. They are closing it down to work on Aghia Paraskevi, so it will be from Ethniki Aymna towards the airport that is closed. This is a very useful site…thanks for the info. We will be in Athens in the fall, and plan to head to Corinth from the city. Where can I find posted schedules and fares for the train to Corinth from Larissa Station? Thanks, I’m glad you find it useful. You can find schedules and fares for the train to Corinth on the suburban rail website, http://www.proastiakos.gr/, unforunately it seems that the English link doesn’t really give you anything other than the headers in English. The trains appear to run every two hours, and the fare appears to be 6 euro from Athens (Larissa) to Corinth. If you have a specific date, let me know and I can look it up for you. I’ve heard that the metro to the airport wsa supposed to shutdown on July 1. Does anyone know what actually has happened? The latest announcement was that they won’t close down until August – of course, that could change once more – but as of today (July 1) the line is still operating. Even if they shut down this line, there is an alternative available from the airport to downtown, it will just require a transfer of trains, which will add about 15 minutes to the journey. Since the metro in Athens is closed till October, and I have booked a hotel in Athens in early July. What’s the best way to go from the airport to Omonia Square in July? u forgot to inform that the green line is closed too between N Ionia and Neratziotisa so ppl coming from the airport to Neratziotisa have to take a bus until N Ionia, and then they can use the green line. Thanks for the update on the Green Line!